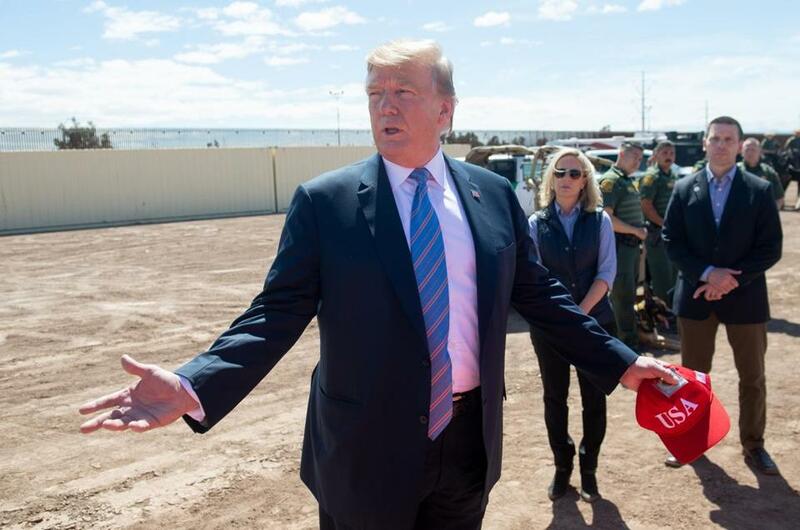 President Trump toured the border between the United States and Mexico in Calexico, Calif., earlier this month. PHOENIX — An idea floated by President Trump to send immigrants from the border to ‘‘sanctuary cities’’ to exact revenge on Democratic foes could end up doing the migrants a favor by placing them in locations that make it easier to put down roots and stay in the country. The plan, which some analysts had labeled problematic and unrealistic, would put thousands of immigrants in cities that are not only welcoming to them, but also more likely to rebuff federal officials carrying out deportation orders. Many of these locations have more resources to help immigrants make their legal cases to stay in the United States than smaller cities, with some of the nation’s biggest immigration advocacy groups based in places like San Francisco, New York City, and Chicago. The downside for the immigrants would be a high cost of living in the cities. The Transactional Records Access Clearinghouse at Syracuse University recently announced that an analysis found that immigrants in sanctuary cities such as New York and Los Angeles are 20 percent less likely to be arrested out in the community than in cities without such policies. ‘‘With immigrants being less likely to commit crimes than the US-born population, and with sanctuary jurisdictions being safer and more productive than non-sanctuary jurisdictions, the data damns this proposal as a politically motivated stunt that seeks to play politics with peoples’ lives,’’ said George Gascon, district attorney for San Francisco. ‘‘The president heard the idea, he likes it,’’ she told ABC’s ‘‘This Week,’’ adding that it is among several options being reviewed by the White House. ‘‘The president likes the idea and Democrats have said they want these individuals into their communities so let’s see if it works and everybody gets a win out of it.’’ She said she hopes Democrats will work with the president on a comprehensive immigration bill. The plan discussed by Trump would have financial, logistical, and legal issues. And despite the consideration given to releasing the immigrants on the streets to sanctuary cities, the Trump administration has plenty of jail space to detain families. As of April 11, the nation’s three facilities to detain immigrant families were nowhere near capacity, including a Pennsylvania facility housing only nine immigrants.